Crowdfund London 2019 is coming: Could you get £50K from the Mayor of London? Do you have a brilliant idea for a community-led project that would make a real difference in your local area? 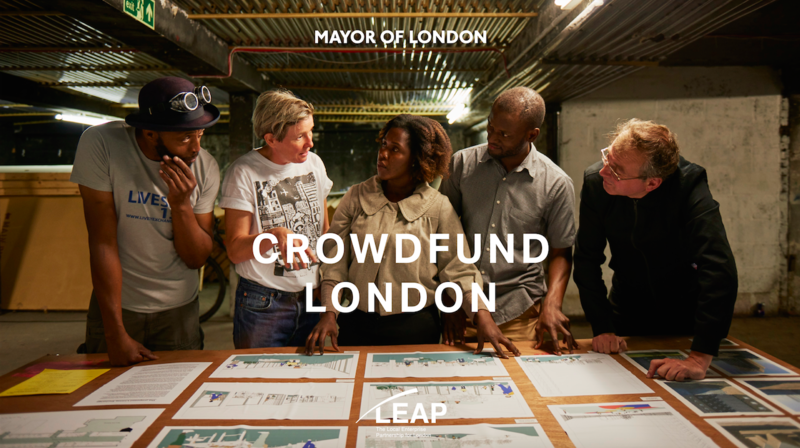 Crowdfund London pledges up to £50,000 towards creative new ways to improve our city. You don’t have to be an entrepreneur or an expert – you just need a good idea, a plan and your community behind you. We know that Londoners are full of great ideas and want to encourage more people to actively participate in creating a city that works for everyone. Developed by the Regeneration Team in partnership with Civic Crowdfunding platform Spacehive, Crowdfund London gives anyone the opportunity to pitch creative new ideas – big or small – for community-led projects to make their local area even better. HTN wants to encourage all Londoners and their communities to give Crowdfund London a go. If you can help us to spread the word to your networks – especially local community organisations, volunteers and people who work in urban development, regeneration and local planning. Need some inspiration? Take a look at the 26 projects that won Crowdfund London funding last year.